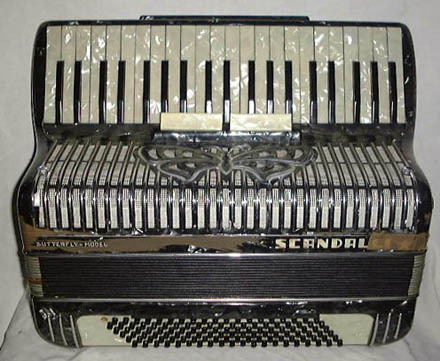 Many of the telephone calls I regularly receive are from owners of accordions who wish to have their instruments valued or find more information about them. 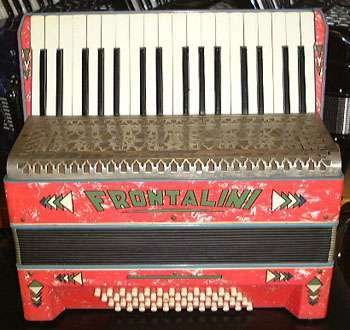 A frequently asked question is how can you tell whether an accordion is pre-war or not. 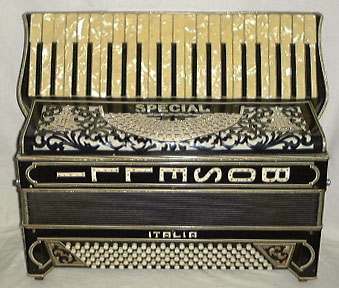 There are a few pointers I can provide which may help you to ascertain this. 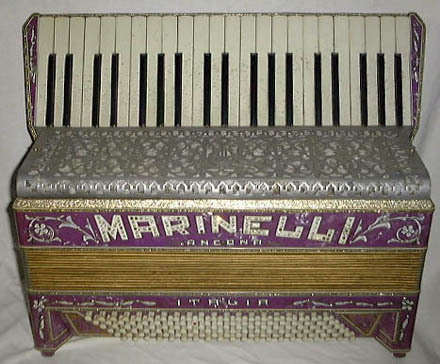 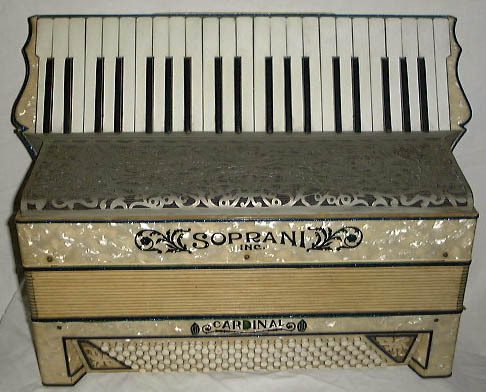 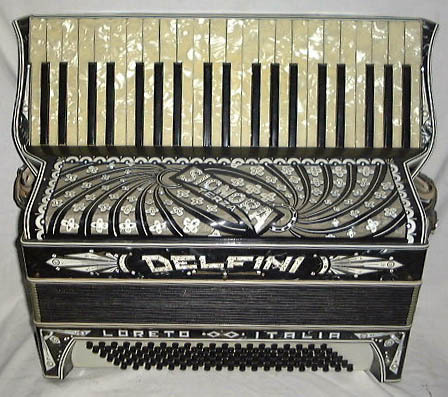 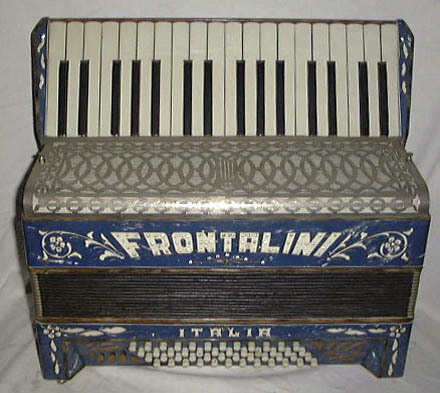 There are exceptions to the rule, but more often than not the vast majority of pre-war accordions do not have more than one coupler (see below) to change their sound. 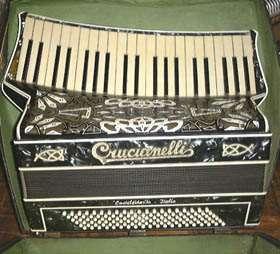 On post-war accordions, the couplers are generally on the grill in front of the black notes of the treble keyboard. 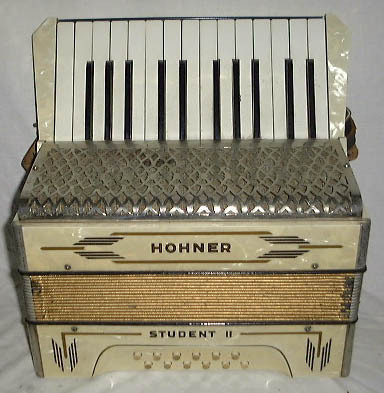 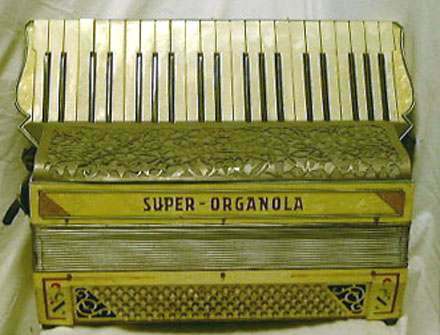 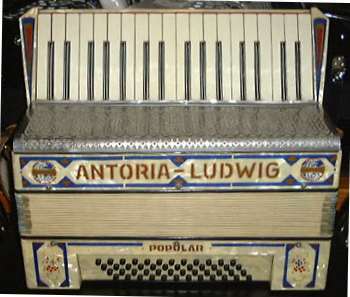 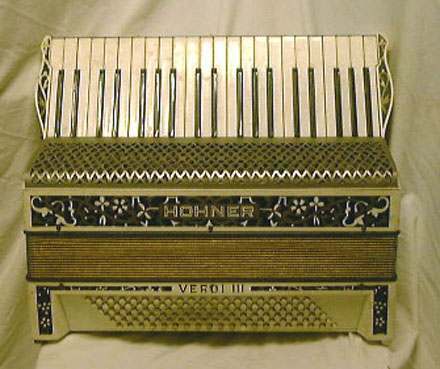 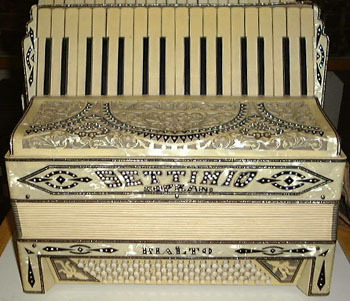 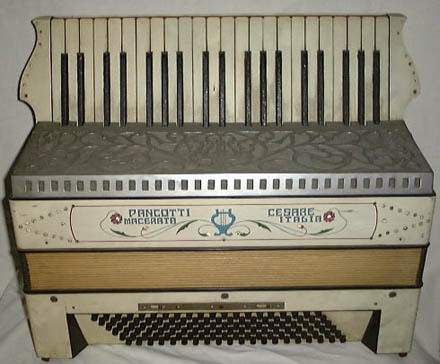 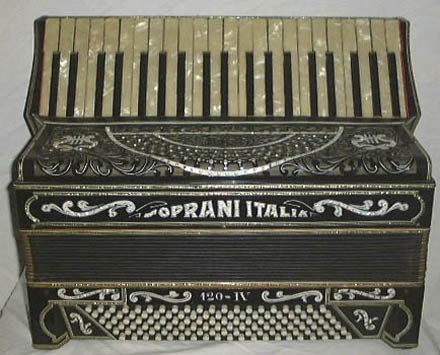 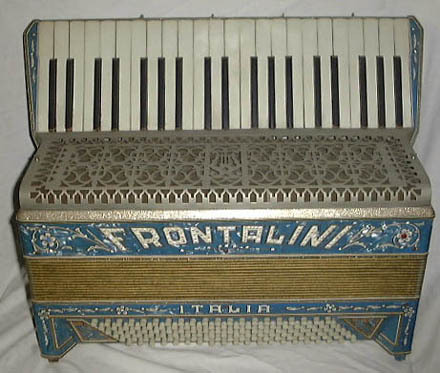 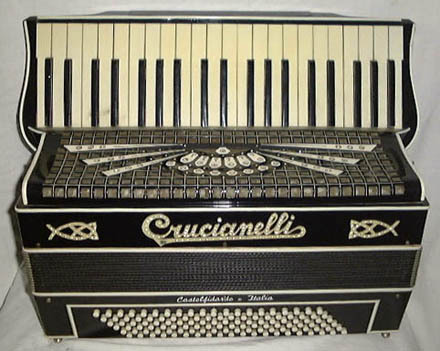 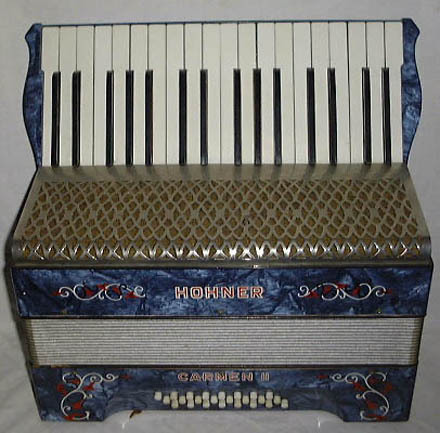 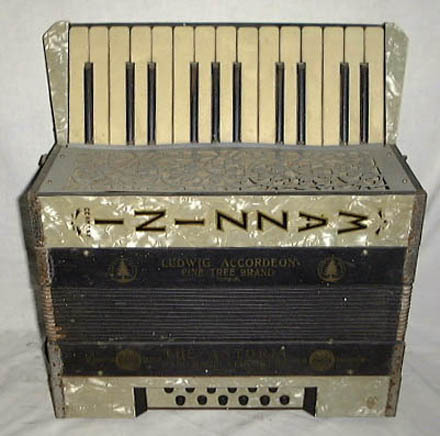 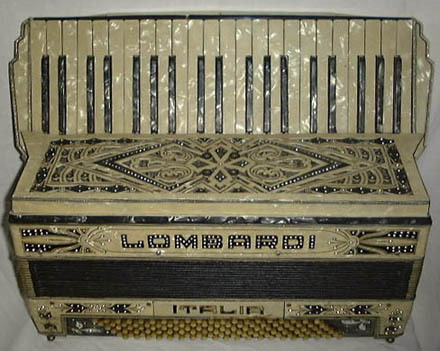 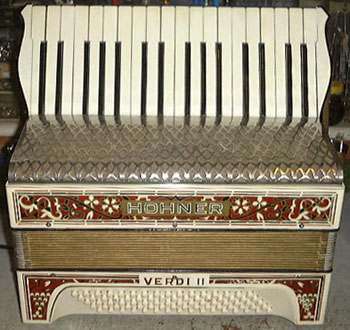 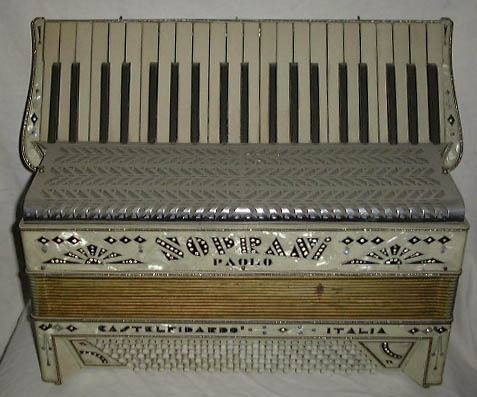 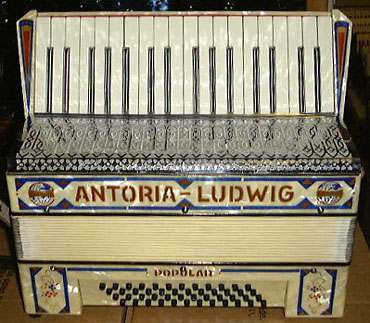 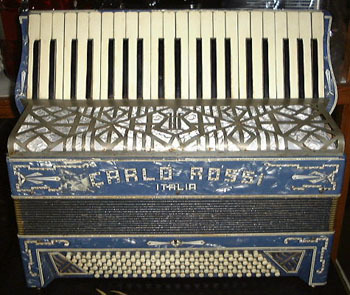 On pre-war accordions, there is usually just one push coupler on the edge of the keyboard. 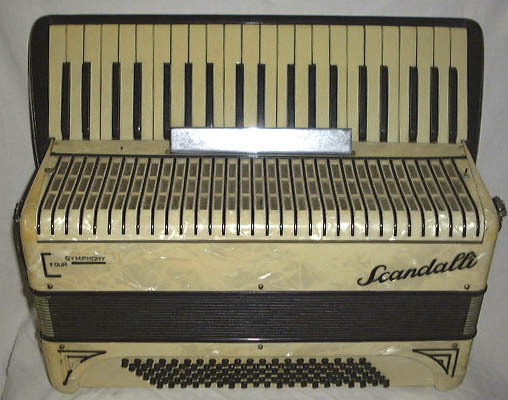 Sometimes, it is a slide action rather than push. 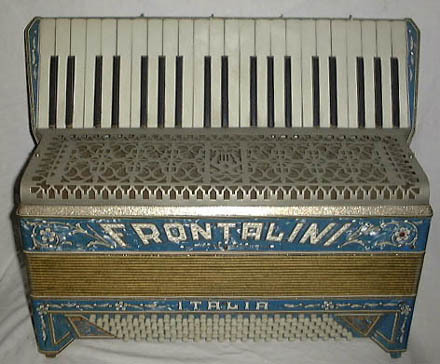 Displayed around the borders are a selection of pre-war instruments, mostly made around the 1930s when accordions were very popular. 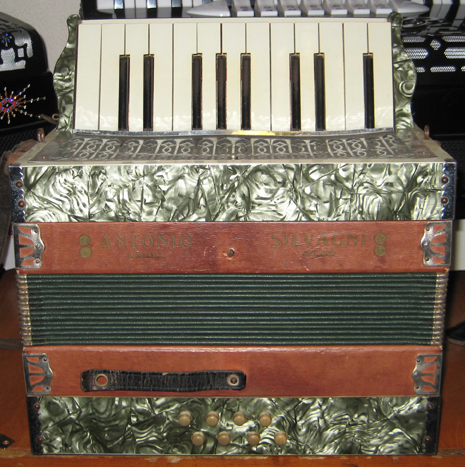 These instruments will always require a complete overhaul (which is described further down this page) unless they have been worked on in more recent years, and so, are really not worth very much financially. 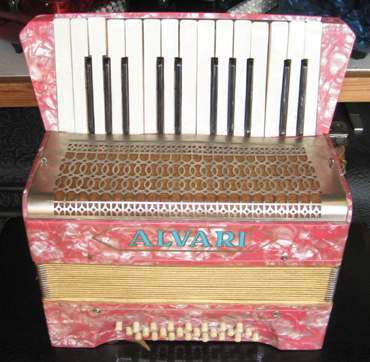 The make or model will not make too much difference on the value in these cases. 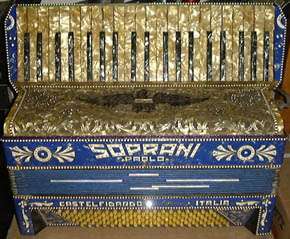 Most pre-war accordions are only worth what someone is willing to pay for them; on average this would be between �-�0; this is based on my experience when talking to customers who have bought such accordions privately. 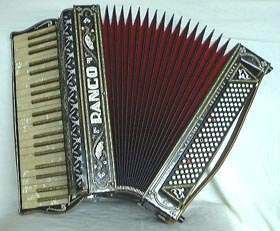 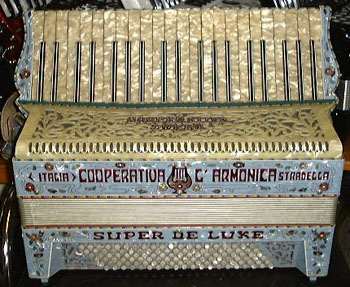 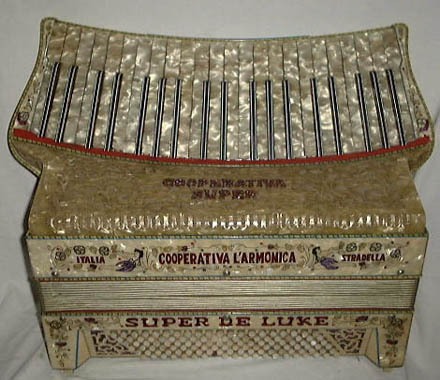 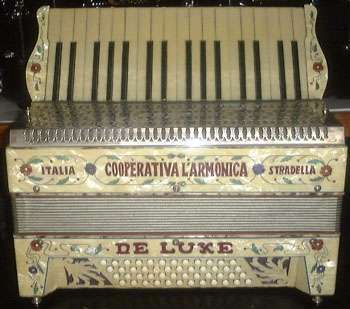 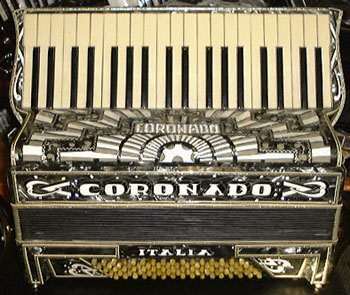 Three makes that are more sought after and therefore might have a slightly higher value would be the Cooperativa, Dallape, and Ranco as these were the best makes of accordion at that period. 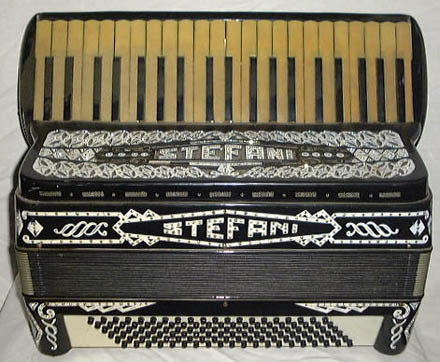 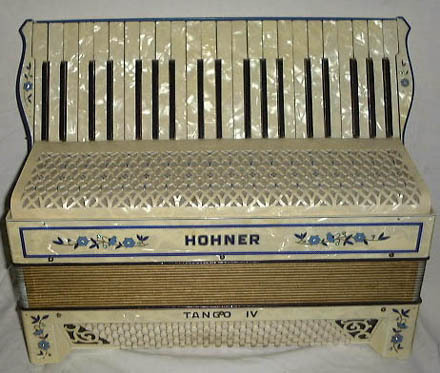 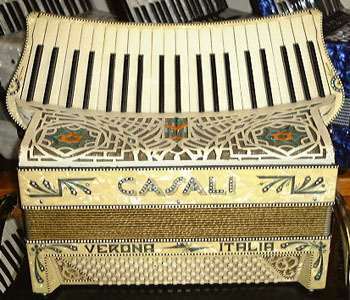 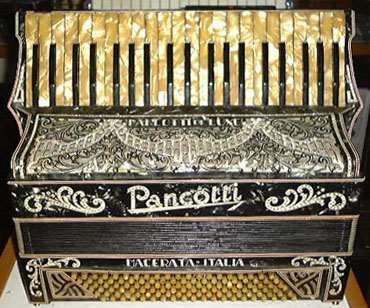 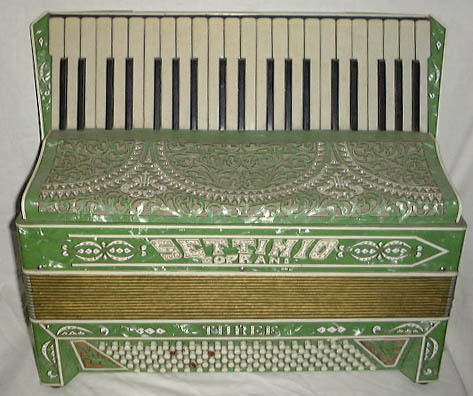 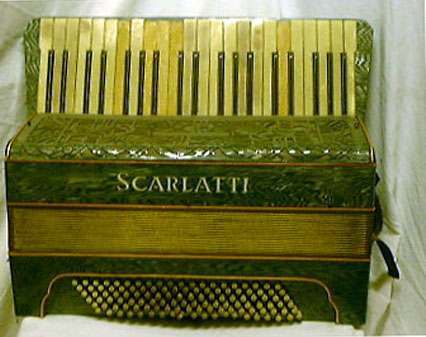 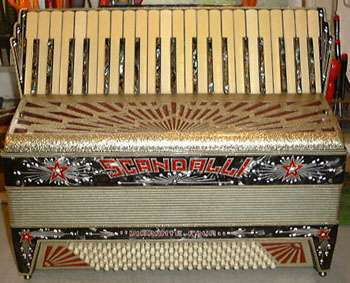 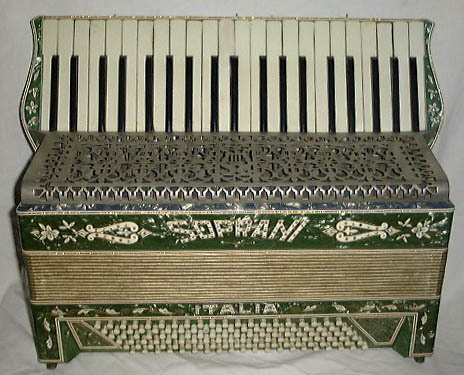 Pre-war accordions have a squarer appearance, as you will be able to see from the pictures and were very often highly decorative and in many more colours than we see today. 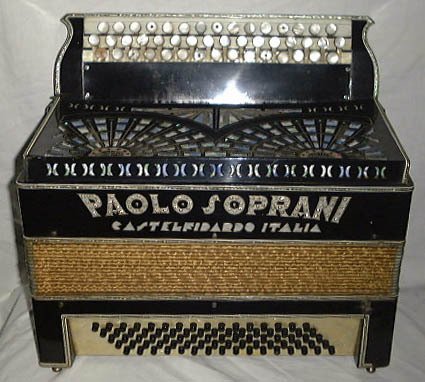 I do not know of any music shops that would be interested in buying them now; I used to buy them in myself up until a few years ago but it became impossible for me to do so as I simply could not store any more because of my limited storage space. 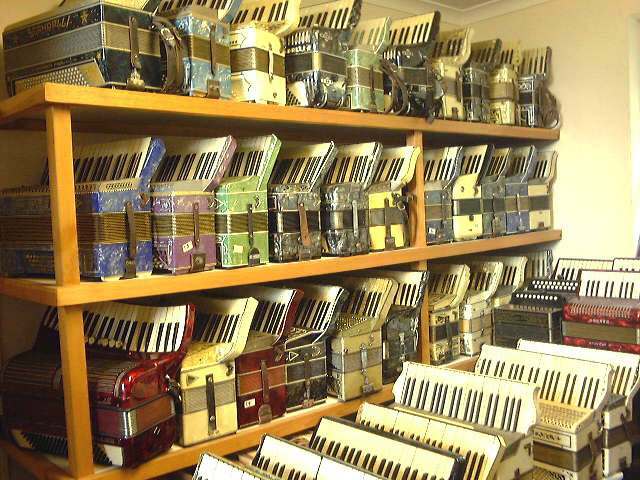 At that time I had over 200 such pre-war accordions, one shelf of which you can see (pictured right), all of which were in need of a full overhaul and perhaps body reconstruction of some kind or another. 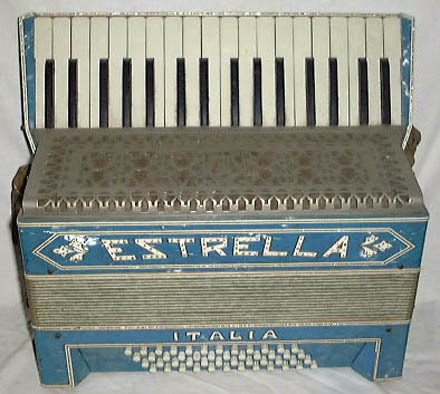 I have always found it upsetting to think of any accordion simply being thrown out because an owner could not find anyone to buy it. 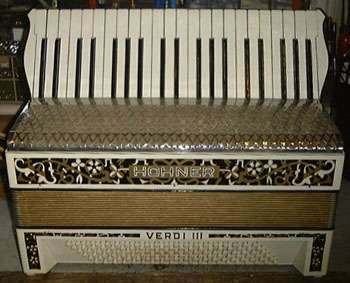 You will find that they often pop up in adverts in free local newspapers or at car boot sales, jumble sales, church fetes and auctions. 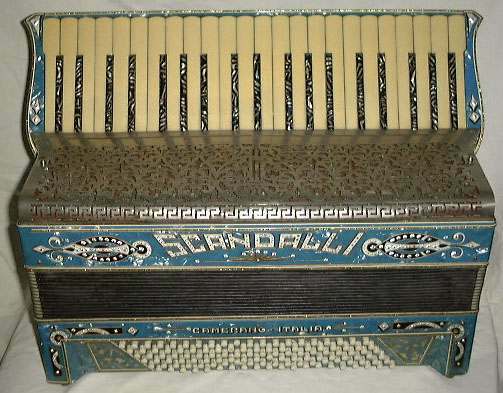 E-bay is now a very popular way of finding or disposing of these older accordions but beware - it is virtually impossible to find accordions like these in good playing condition even though cosmetically they may appear perfect. 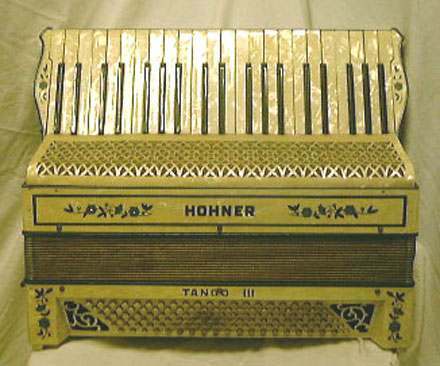 (See paragraphs below). 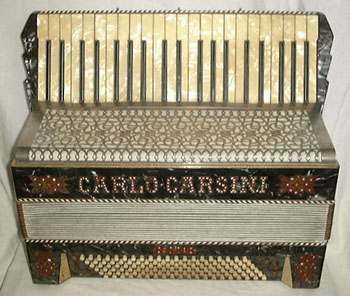 With my ever-increasing workload of preparing my own stocks for sale I have had to decline repairs of accordions bought elsewhere. 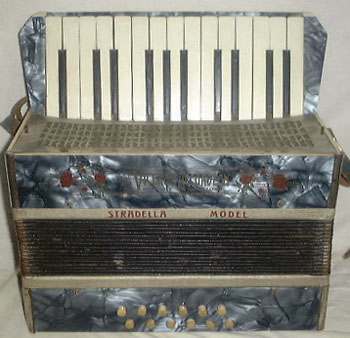 As time goes on I will endeavour to add to these pictures with more models that I have in my storerooms that may be of interest. 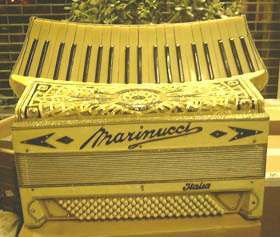 The worst you can do to an accordion is store it in a damp place. 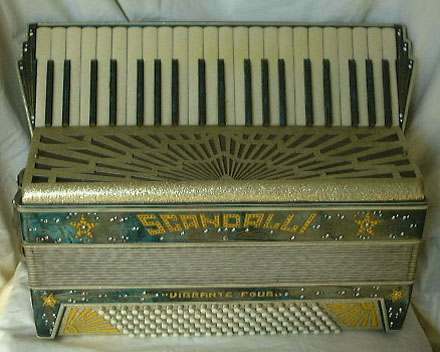 The reeds will get rusty very quickly and the instrument will go badly out of tune. 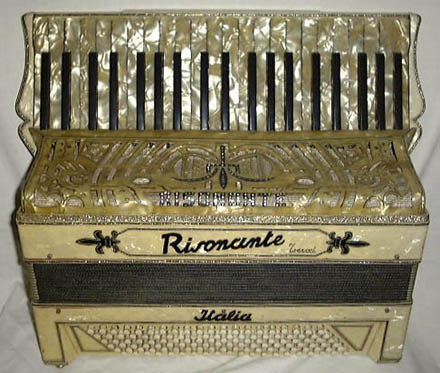 Even if the accordion looks to be in perfect condition on the outside it will require a complete overhaul which is expensive. 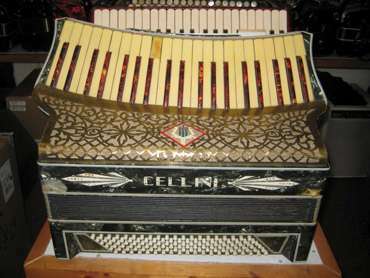 A full overhaul involves the removal of the reeds from the wooden reed blocks, (there are approx. 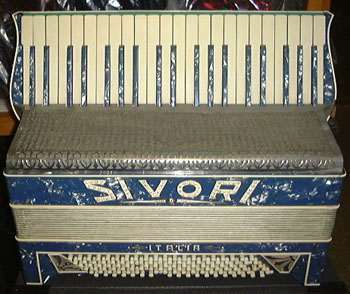 220 double-sided reeds & 400 valves in a full size accordion ) laid out on trays, cleaned thoroughly, re-valved, re-waxed back onto the wooden blocks and finally tuned. 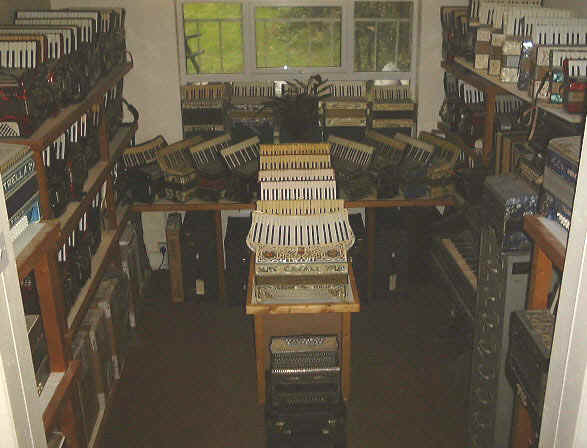 The keyboards and bass mechanisms are dismantled , cleaned and then reassembled. 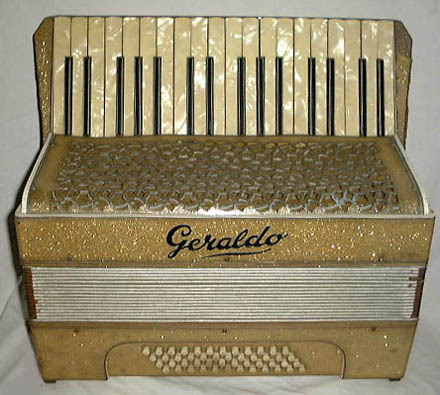 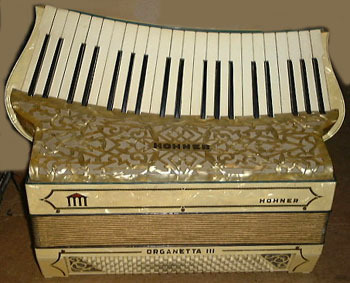 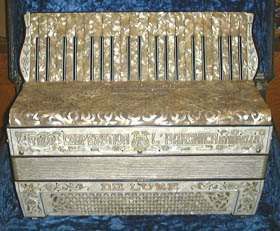 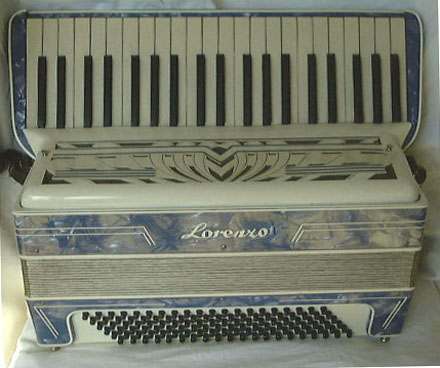 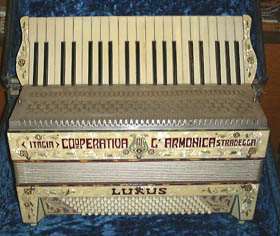 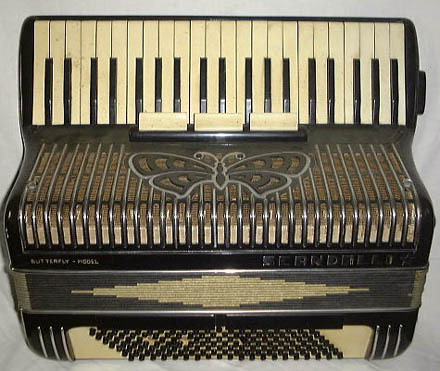 The treble keyboard usually has a metal rod which runs from one end of the accordion to the other and this may not have moved since the accordion was made. 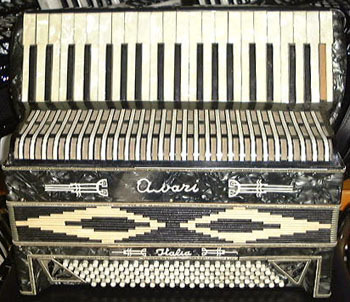 It needs to be removed to take the keys off individually, and as the rod is dislodged it can easily break the partitions between the keys which will then have to be repaired. 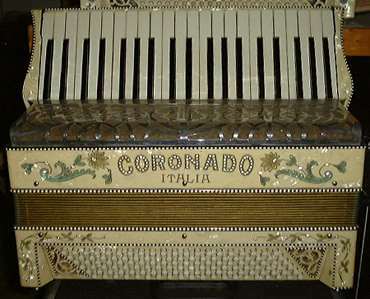 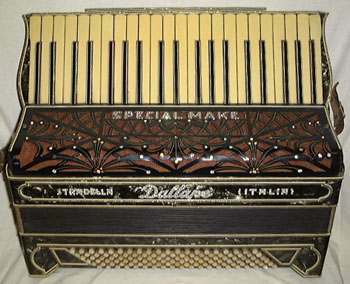 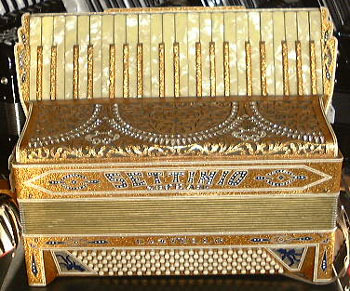 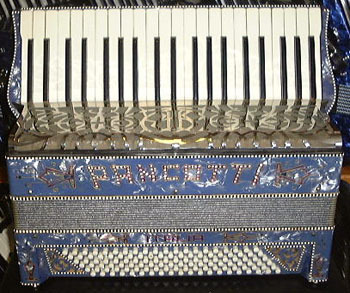 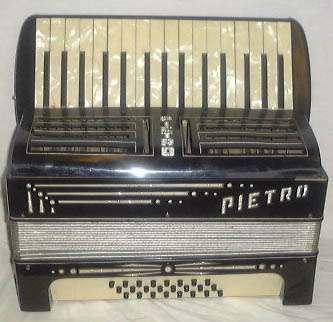 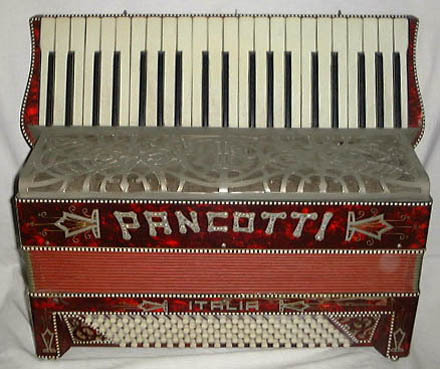 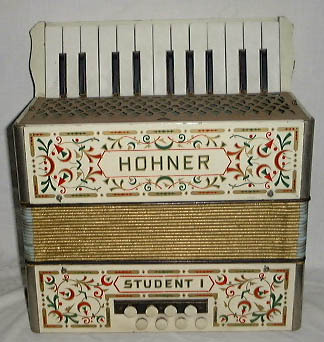 Customers often comment that their accordions are in perfect condition because they have not been used for many years; unfortunately even without use the overhaul is important as the leather valves on the reeds will have dried up over the years and this greatly effects the tuning and sound. 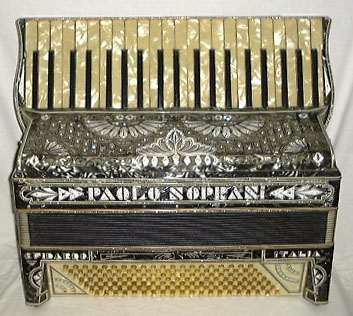 This kind of work should only be thought of if there is a sentimental value to the accordion.